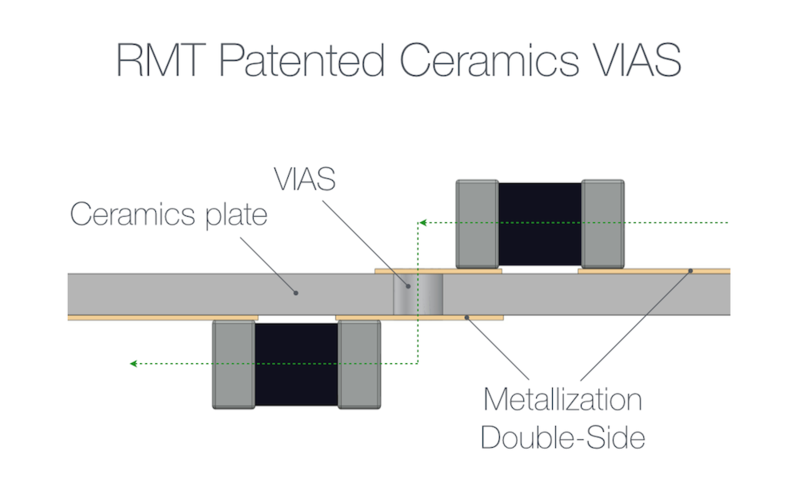 RMT patented technology provides significant advantages over typical thin- and thick-film metallization processes. Single and double-sided ceramics PCBs have better quality, higher resolution, high conductivity, excellent solderability and bonding properties. RMT provide fast development and manufacturing of metallized ceramics substrates and ceramics PCBs for LD applications, optoelectronics industry, high-frequency and other applications. 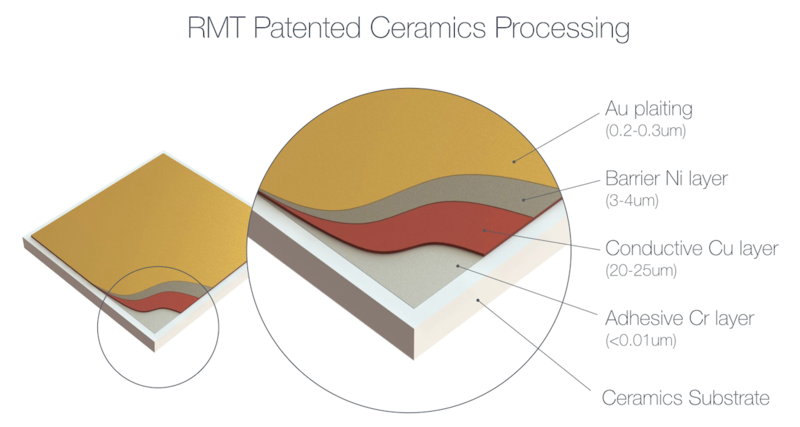 RMT provide full service with Au patterned ceramics substrates (and ceramics PCB) development, prototyping and manufacturing. For additional info and requests, please, contact us directly.